Letter: January 2017 | InterSolve Group Inc.
Over New Year’s 2017, my wife Sally and I spent six active and insightful days in Cuba on a trip conducted by Smith College, Sally’s alma mater, with ten other people. Cuba lies 90 miles off the Florida coast with a population of 11 million people, 1 million who live in dense and forlorn conditions in Havana. 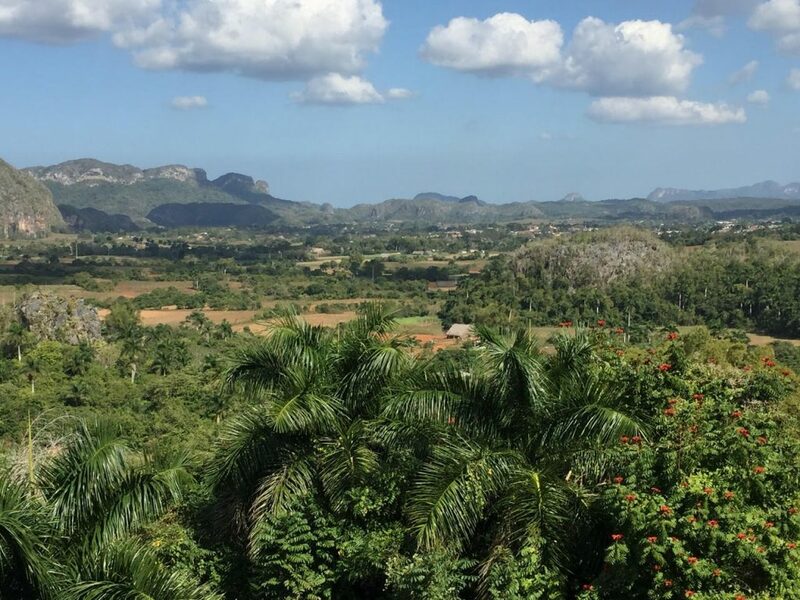 countryside, refreshed our current understanding of the history, culture, and society of Cuba. Learning in depth about multiple revolutions, recalling the Bay of Pigs fiasco, and the Russian/Cuban Missile Crisis (I was a senior in high school huddled around a radio with my classmates thinking we were all going to war) enabled us to consider the past and the future of this complex country. The root cause of the dilapidated conditions currently in Havana is, of course, the failed Communist state and removal of Russian subsidies following the Cold War. The politics of America’s longstanding embargo protecting Florida’s electoral votes regardless of the United States’ administration, the economic collapse of Cuba’s trading partner Venezuela, and bureaucratic limitations on foreign investment are major impacts deferring economic growth. Even with a remarkable 95% literacy rate (the heritage of a countrywide campaign deploying 250,000 young people as teachers by Fidel Castro shortly after his revolution in 1959), subsidized food and health care, and little crime or illegal drugs, solutions for advancing Cuba’s future are unclear. A key question is, “Who benefits from a more successful Cuba besides the Cuban people in the future?” Could it be developers from the United States capitalizing on tourism, global patients eager for lower cost medical procedures and an emerging bio-medical industry, offshore oil exploration — or China, already exporting vehicles to the island with a strategic toehold next door to us? Or at the end of the day, do any foreign powers really care? Stay tuned to the foreign affairs of Cuba — a complex enterprise with a colorful history and a blended culture seeking improved prosperity and relevance!